I just discovered that in January Konamistyle is releasing the soundtrack to Harmony of Despair, the XBLA game that came out earlier this year which allowed you to play with up to three friends as one of Castlevania‘s heroes (and heroines!). What’s even cooler is there will be a bundle that includes this along with the Castlevania Tribute 1 and 2 albums (Tribute!? You steal men’s souls! And make them your slaves!). I’m hoping it won’t be a bunch of electronica… However, I’ve given the Harmony of Dissonance soundtrack a listen and was quite impressed. While it’s a selection from mostly newer games in the series (would have loved to hear some Castlevania IV and GameBoy arranges), Harmony of Dissonance has a truly rocking soundtrack with primarily new arranges. One of my favorites is “Ruined Castle Corridor”, the main castle theme from Aria of Sorrow. Konami’s heavy metal treatment of “Ruined Castle Corridor” is pretty intense, with live guitars and an excellent synth library. The track might be called Soma’s Theme, the young man who is cursed with becoming the next Dracula (though he must start out as a college kid with a penknife – how he learns to wield a 6-foot sword of demon slaying in six hours, don’t ask). Anyway, the piece has a slight tinge of sadness, of bearing the burden of fate. Ultimately, much better than the meatier metal of Rize’s “Soul of Axe Armor” (named after the blue Axe Knights who roam the castle). Michiru Yamane composed the original version of this theme, but she also composed an arranged version for the Lament of Innocence soundtrack titled “Cross of Fate“. This fantastic piece has Mrs. Yamane’s trademark percussion line, mixing a standard drumbeat (well-defined here as usual) with weird synthetic whisperings (see also 2:40). The drums are particularly intense and mesh well with the string, piano, and trumpet-driven melody. The piece has some excellent organ work beginning 2:40, the type of intricate, virtuostic work Castlevania is known for. This ending section goes on for perhaps a little too long without variation though, but it is still a fantastic arrange and a far cry from the blurry audio of the Gameboy Advance. Extra Credits raised a good point when he mentioned how the music of games on old systems was more memorable: composers were given fewer instruments to work with (two square wave channels, a triangle wave, and a noise channel on the NES for percussion) and as such they had to deal primarily with melody and make that the most important part of the song. Further, they would often use chords – series of notes played in tune with each other. Plus, chords are easier to sing as it consists of a single melody that is easy to hum. Incidentally, three instruments and percussion was also the structure of a four-piece band, meaning the NES sound chip was designed with this type of music in mind. Chords are more recognizable in a melody because they have greater impact. However, the use of strong melodies has taken a step back in recent years due to the large palette of instruments and options available to composers. Michiru Yamane’s “Clock Tower” from Castlevania: Aria of Sorrow (here arranged by Jorge Fuentes) provides an exception to this trend, featuring a strong melody common to the Castlevania series and its 8-bit roots that demonstrates this point about chords. Here, the melody is especially punctuated by the use of chords that gain further emphasis in that the last note in a bar is the chord, punctuating the end of the pattern and the beginning of the next. This is very important for the song as it syncs with the setting of the clock tower that keeps time to a steady rhythm. Additionally, the song has not one strong melody, but three layered together – one played on the piano, another on the guitar, and a third on the strings. If you note, there is also a smooth transition, first at 0:36 from piano to guitar with piano fading slowly to the background, then again at 0:45 when strings take over, but the piano can still be heard clearly, albeit in the background. At the 1:10 mark, chords are plainly audible in the strings, and those long notes further punctuate the melody, breaking it into short stops that create a clearly identifiable pattern. Note one of the other key elements of a memorable tune: repetition. Here, I am not talking about the repetition of an entire melody through loops (particularly as applies to shorter, sub-30-second songs of the early days of videogames), but the repetition of smaller segments. We see this repetition used throughout the entire piece, from the very opening with the mournful piano ticking away time to the guitar’s intricate upward sweeps of eight notes. All of this is easier to see in the XG-MIDI visualization – the virtuosity required of the notes. Pay particular attention to the rising blue notes of the guitar that hit one note below the strings at 1:09. Often when you look at a Castlevania soundtrack (or even the title), you will think, “What does this musical name mean? I mean, I’ve heard it but…” Of course, to say that a track such as “Sarabande of Healing” and say, “Well, this must be a sarabande!” would be right on the money, but it wouldn’t tell you much about what makes a sarabande a sarabande. That’s one of the ideas here – to identify what a toccata is using an example of a toccata from a game as well as a classic toccata. We’ll begin with the classic: Bach’s “Toccata and Fugue in D minor” played here, which is one of the most famous organ pieces out there and one of the best examples of the form. The video was produced using the Music Animation Machine and so this uses (rather high-quality) MIDI. If this bar graph visualization looks like something off the Atari, this works quite well: “Toccata and Fugue in D minor” has been used in numerous game music soundtracks, primarily early ones, but also newer ones such as Final Fantasy VI (1994) and as lately as Deathsmiles (2008). “Toccata and Fugue in D minor” is a combination of toccata and fugue – a common occurrence in toccata actually. The first three minutes compose the toccata, which may be defined as a virtuostic piece usually played on a keyboard instrument or a plucked instrument. Basically, it is a piece that taxes the skills of the musician as well as demonstrates that skill – that virtuosity. Thus, a toccata is characterized by the rapid playing of notes, often multiple hands on the same instrument if it is a keyboard, as well as jumps between notes. Read the rest of this entry ? Castlevania remains one of the best series for game music as well as one of the best to listen to for Halloween. Combining horror and gothic themes with a wide range of musical styles from baroque to jazz and even combining a few (symphonic rock, anyone? ), the series demonstrates its creators’ love of music and the possibilities of its use in games. Though Michiru Yamane has left Konami and the Castlevania series, she remains the Queen of Castlevania, as it were. One of her most astounding soundtracks is Castlevania: Curse of Darkness (2005) for the PS2 and XBox. While the game is pretty shabby, the music is nothing short of top-notch and one of her best soundtracks to date. Here is my favorite piece, “A Toccata into Blood Soaked Darkness,” the theme of the first Dracula fight. This song, along with an abridged version of the original soundtrack, is available from iTunes. The Dracula battle takes place in a circular arena in front of the throne at the top of Dracula’s Castle, shrouded in black mist. The fierce battle against the shape-shifting vampire (curse his teleportation!) is pitched as an fitting epic finale, with rising waves of choral and brass supported by floating strings and organs – organs that sometimes fly to the heavens), all driven by a pounding drum beat and bubbling synths. It is the most outstanding Dracula fight theme in the series (even better than the more widely known “Illusionary Dance”). The only thing that was really missing from this sequence I felt was a driving rainstorm to even further illustrate the desperation of the final battle. The song has been shown in concert before at Leipzig and Play by the Czech Philharmonic Orchestra, but no official recordings have been made. Their song layout varies from performance to performance, but there will be two upcoming shows in Vancouver and Dayton, OH. Castlevania – Lament of Innocence is one of the best soundtracks in the series. Michiru Yamane combines a wide range of musical styles in her games, from hard rock to dance to baroque, and often mixes them in the same song (“Resonance of Malevolent Souls” even used a digeridoo!). Lament of Innocence in many ways exemplifies this technique. Haunting baroque pieces such as “Ghostly Theater”, the strikingly haunting “House of Sacred Remains” and the jazzy battle themes such as “Traces of Malevolent Souls” are several of the outstanding pieces. It’s little wonder then that AOL Radio scored this the number oneCastlevania soundtrack andis definitely worth picking up off of iTunes if you haven’t already. My pick for the best track is a cross between “House of Sacred Remains” and “Ghostly Theater”, but I’ll go with the former for its unique approach (and more gothic fitting for the Halloween season). “House of Sacred Remains” opens with a stark organ solo, a 26 second intro with a single, mournful organ that plays the track’s foundation melody of 21 notes. By doing so, Yamane firmly establishes the mood and setting of the piece – a giant abandoned cathedral that has been profaned by the undead, a stark, empty house of worship where the echoes of mass have long since been forgotten. The leaps between notes seem initially shocking and foreign, but quickly become the foundation of the piece. After this opening, the piece transitions into the main section, a choral segment that seems disembodied from human voice with its tremulous, hollow singing, electronica percussion and sonar echoes forming the base line of the melody. At the end of this section, the organ is again added to the mix as it moves to a masterful piano segment (1:36). Here, we have a sense of walking through the abandoned cathedral, finding secrets and exploring the mystery and decadent splendor of the place, even in decay – ribbed vaults rising to the ceiling, gothic tracery and overturned pews. At the end of the section, the organ returns again for a tremendous finale with some heavy drumwork (2:36), slowly building in intensity and finally adding the choral section. The piece loops at 3:08 for what is a truly astonishing opening to what for many is the first main level of the game. 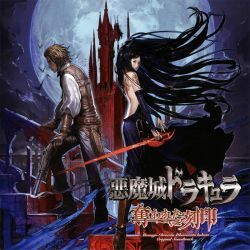 Michiru Yamane arranged the album in the Castlevania Original Soundtrack – a title that is ill-named considering how Castlevania has always been the name of the series in the US. The piece “Christmas Carol ~From House of Sacred Remains” is a unique take on the theme, transforming it from a grim, somber chamber to a field of bright snow with an opening dominated by female choir and delicate triangle percussion. Past this, the overpowering male soloist takes over in place of the organ and the track transitions into and electronic dance that culminates in an organ finale. It’s an incredible roller-coaster, though ultimately one that lacks the core mastery present in the original work. Today I have picked two versions of the song as the Daily. These are both version of “An Empty Tome”, the main theme from Castlevania: Order of Ecclesia. and the theme song of Shanoa, the game’s heroine. She is a very strong character who, despite her spartan emotions, is able to take on any obstacle with her inner determination. This reminds me of some friends I have who are also able to stand up on their own despite immense difficulties, and it is these qualities I admire. In this regard, today’s Daily, the final in this week’s Castlevania series, is a tribute to them. The original version of “An Empty Tome” is an incredibly slick jazzy dance. The combination of drums and harpsichord keeping time creates a unique, amazingly rich sound that builds to a crescendo with piano. The strings of the main melody have a nice humming sound too, thanks to the DS sound chip (Order of Ecclesia has some of the best sound on the system). Shanoa has an absolutely graceful theme, full of confidence and mastery, the ability to overcome the intense obstacles in her way. It plays in the main area of Dracula’s Castle, the final stage of the game that rises from the mists of Transylvania. The entryway to the castle is just atmospheric sound – wind whistling hollowly through the main gates – and the explosion of melody that arises upon entering tells us immediately this is the final act of the game. 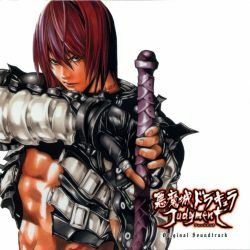 Yasushi Asada’s remix from Castlevania Judgment is by far the best version of this song – and in many ways better than the original. The original instruments with a greater infusion of guitar gives a greater feel of power than the original for a totally different feel. “An Empty Tome” works very well with a guitar lead, but Asada is careful to keep the main melody with an elegant instrument – the flute, using strings as support and harpsichord as emphasis. The lead instrument switches from flute to guitar as the track develops, weaving effortlessly between the two. The grace and power of this version is evident, perfect for Shanoa’s appearance. Day three of Castlevania week is the longtime favorite “Reincarnated Soul” from Castlevania Bloodlines (known as Vampire Killer in Japan) for the Sega Genesis (1994). This was Michiru Yamane’s first soundtrack for the Castlevania series, and boy was it an amazing debut. Yamane perfectly captured the series’ feel and atmosphere, bringing back a few classic tunes but going full-out with an almost entirely original composition. The soundtrack, released in 1993 along with the Dracula X PCE soundtrack, has only recently been reprinted (in full) on the Castlevania Best Collections BOX – which is good considering how much a copy of the original album goes for. Bloodlines had a few other excellent tracks, including “The Sinking Old Sanctuary”, “Iron Blue Intention”, and “Calling from Heaven” as well as a wonderful arrangement of “Simon’s Theme”. While I’m not a big fan of the Genesis’ sound chip, I will say that Bloodlines stands as one of the best soundtracks for the system sound-wise. Oh yeah, I used the Japanese box art because it’s ten times cooler than the US version (even though Quincy Morris still looks like a fool). “Reincarnated Soul” kind of resembles “Vampire Killer” in structure, beginning with an introductory jingle for entering the haunted castle that later gives way to the main melody. The bell-like piano and grating organ gives a nice sense of dilapidation and Halloween creepiness, illustrating danger and monster attacks. The drums in here have a wonderfully gothic feel, sounding like footsteps in the attic of a haunted mansion. The whole composition of the track feels remarkably similar in intent to “Vampire Killer”, which was meant as a catchy, active opening piece to establish a sense of creepiness and move the player into excitement. 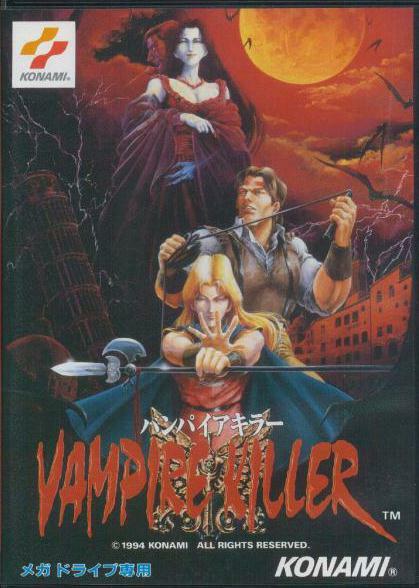 Because Michiru Yamane studied the composition of “Vampire Killer” and other early Castlevania pieces, it’s likely she therefore understood how the song composition and intent worked, making her debut Castlevania soundtrack perhaps a spiritual successor to Kuniyo Yamashita’s work, and likely a key to the soundtrack’s success. The title is, of course, a reference to Dracula’s constant resurrection. Despite its popularity among Bloodlines fans, “Reincarnated Soul” has seen surprisingly few arrangements, the best of which is an absolutely astounding rock remix from Dracula Battle II (1995). Unlike other pieces in the Battle series, “Reincarnated Soul” is unique because it is a fairly straight-up arrangement of the original melody with a beginning, middle, and end – no loops to speak of. The track was also used as the Stage 1 theme for Castlevania Rebirth on the Wii Virtual Console – a surprise considering “Battle of the Holy” was actually a pretty good song. 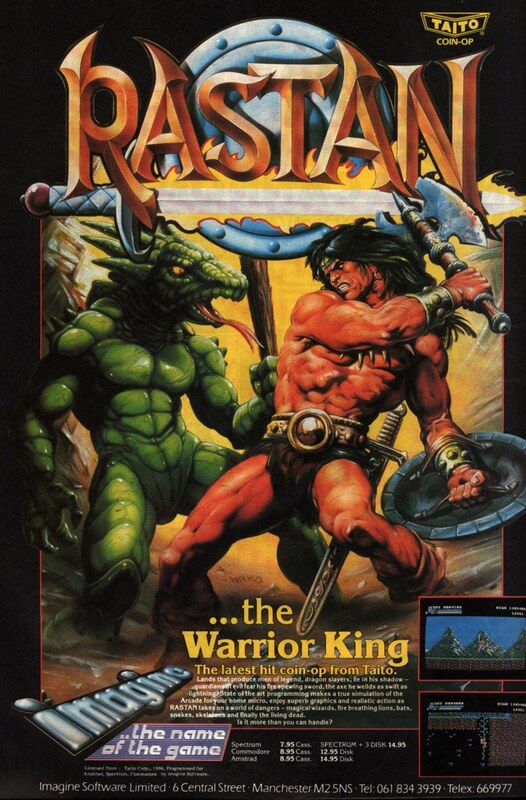 The sound effects and instrumentation in the game also seem inspired by Bloodlines, though the music feels more like it came from a 1988 Konami arcade machine, even including instruments from Kazuki Muraoka and Motoaki Furukawa’s Super Contra soundtrack (1988). Anyway, the album was recently released along with the BOX collection, though only through Konamistyle (lame! ).